A historical novel and love story of King Philip’s New England war to drive the colonists out of America. Wampanoag warrior Tamoset has joined the great tribal leader Philip (Metacom) in a war to drive the colonists out of New England. He leaves his wife and child to fulfill his tribal duty on the warpath, which changes his life forever. Quinna, a beautiful Nipmuck woman, watches as Tamoset’s sacrifices and sees the changes he undergoes as the war rages on. She is independent and strong-willed, following a path of her own as her world is turned upside down. Colonist John Homer fights to protect the farm he has carved out of the wilderness. Through a twist of fate his life collides with Tamoset’s and Quinna’s with consequences no one can foresee. A historical thriller and love story, with dramatic re-creation of terrible battles, Until I Have No Country is a sweeping novel of King Philip’s Indian War. True to historical facts this is a unique tale of war’s casualties and personal sacrifices. Tamoset’s journey is both unforgettable and inspiring. 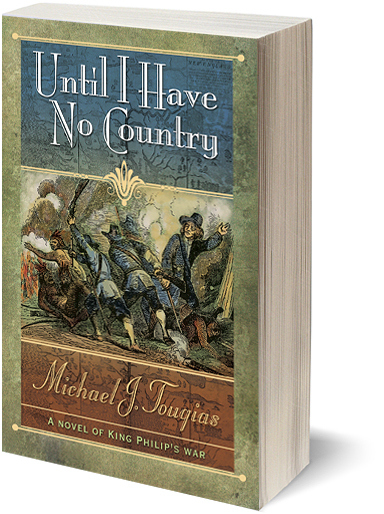 Michael J. Tougias is an award-winning author of over 21 books including co-authoring the bestselling King Philip’s War: The History and Legacy of America’s Forgotten Conflict. His book Fatal Forecast: An Incredible True Tale of Disaster and Survival at Sea was praised by the Los Angeles Times as “a breathtaking book—Tougias spins a marvelous and terrifying story.” His other true adventure book, Ten Hours Until Dawn: The True Story of Heroism and Tragedy Aboard the Can Do in the Blizzard of 78, was selected by the American Library Association as one of the “Top Books of the Year” and described as “a white-knuckle read, the best book of its kind”. On a lighter note, Tougias chronicled his misadventures at his remote cabin in Vermont in his award-winning book There’s A Porcupine In My Outhouse: Misadventures of a Mountain Man Wanna-be. This book won the Independent Publishers Association Award for the “The Best Nature Book of the Year.” Tougias has lectured to organizations and businesses across the country, and has had features on ABC’s 20/20, Fox & Friends, The Weather Channel, and several other television shows. 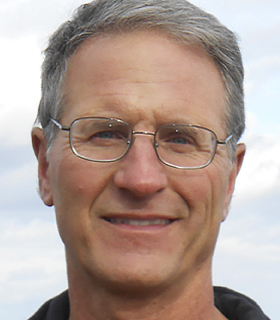 He has written for the NY Times, Boston Globe and many other national newspapers and magazines.